Don’t let its reputation dissuade you — you can definitely tackle this impressive French dessert! Ah, the soufflé. Just saying the word makes you feel 200 times fancier. Though this chocolate delight has a reputation for being exceedingly difficult to get right, don’t be intimidated — Tara O’Brady of Seven Spoons is here show you how to master this classic French dessert in just a few easy steps. The perfect indulgence that’ll have you feeling fancy and français before you can say ‘Bon appetit’! Preheat oven to 350 degrees. 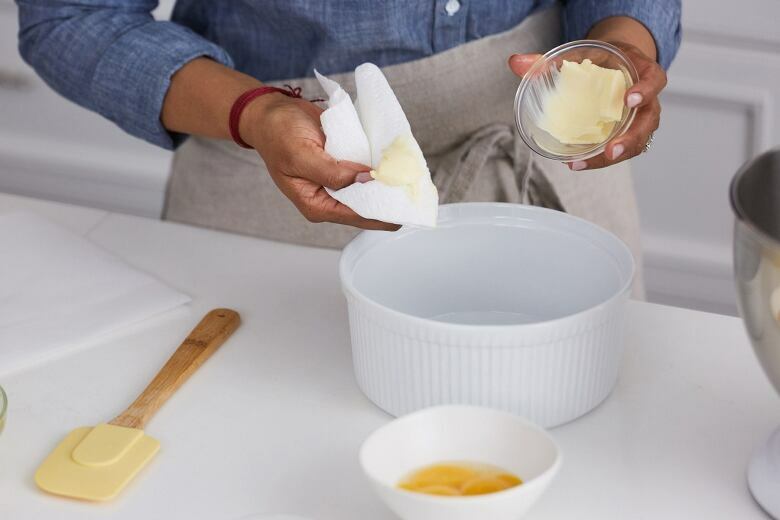 Lightly butter your baking dish. 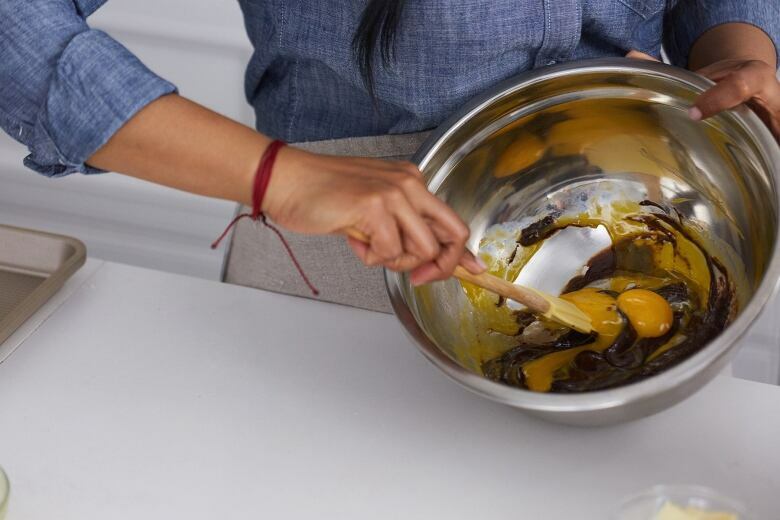 Coat the dish with sugar — this will give the soufflé some “grip” so it can rise. Be sure to tap out the excess sugar. 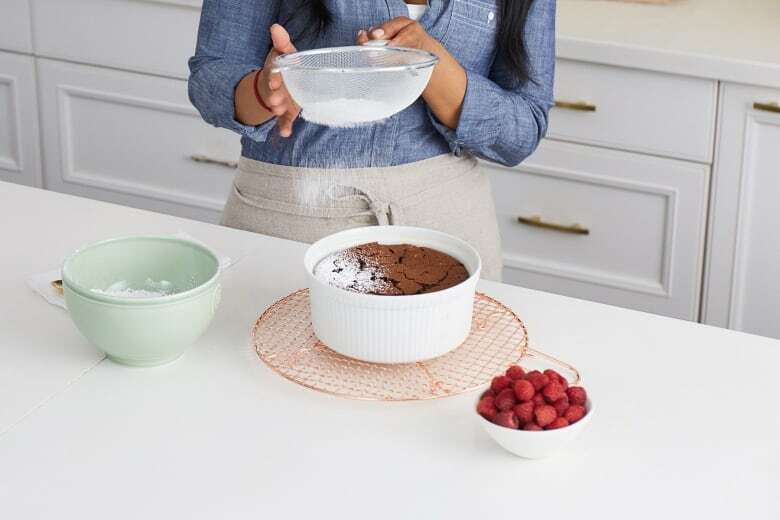 Set dish on a rimmed baking sheet. 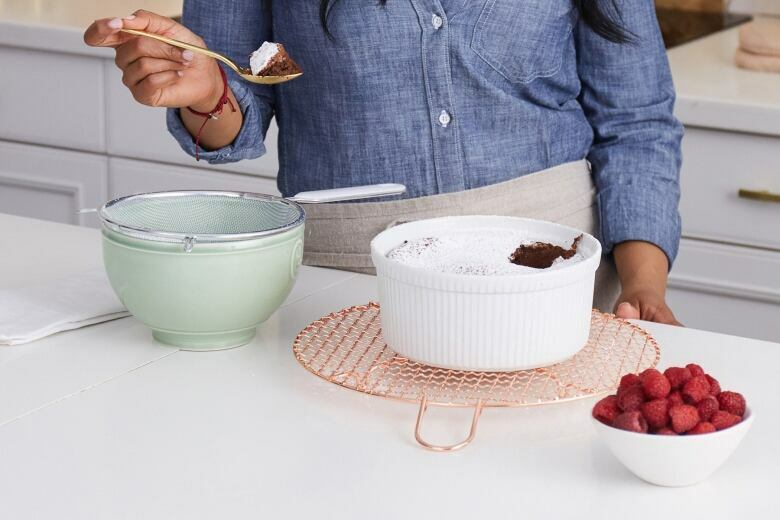 Set a large heatproof bowl over a pot of simmering water and combine chocolate, vanilla, and ¼ cup of water. Stir until chocolate is melted and mixture is smooth — about 10 minutes. Remove from heat and let cool to room temperature, 20 minutes. 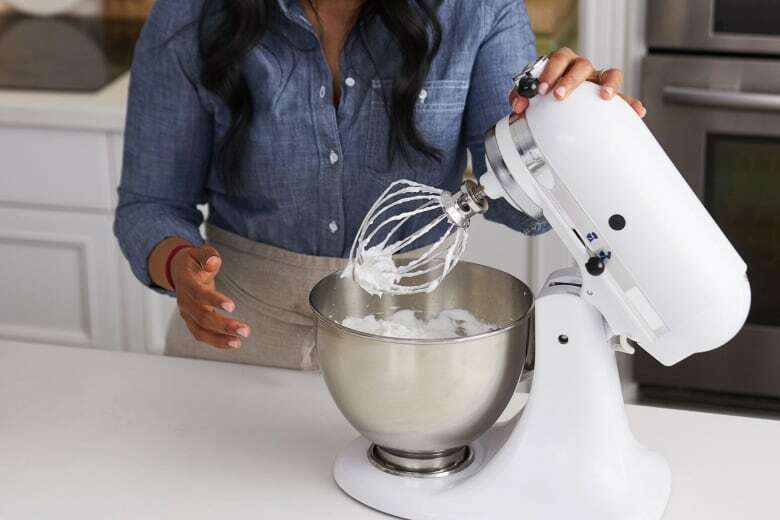 While that’s cooling, add the 5 large egg whites and cream of tartar to your mixer. 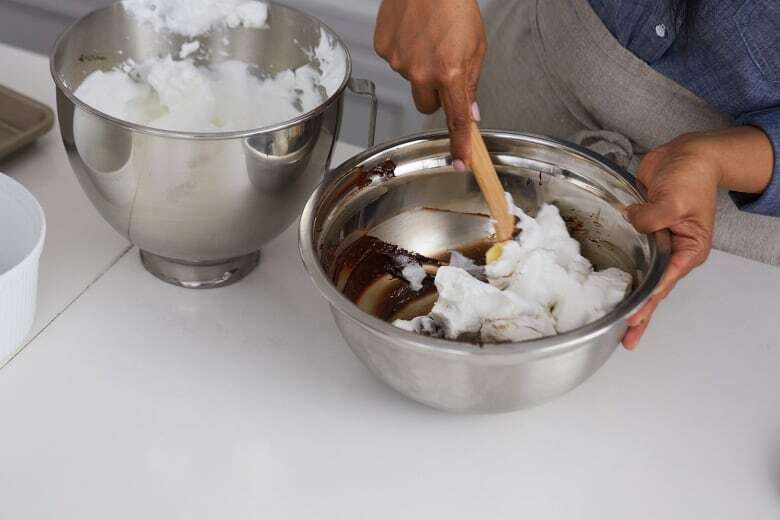 Beat the whites until they’re foamy — then add your sugar. Continue beating until stiff peaks form — about 5 minutes. Add about ⅓ of your egg whites to your chocolate. Fold in the whites as opposed to mixing — this will keep it light and airy. Add another ⅓ and continue folding. Add your last ⅓ and fold in completely. 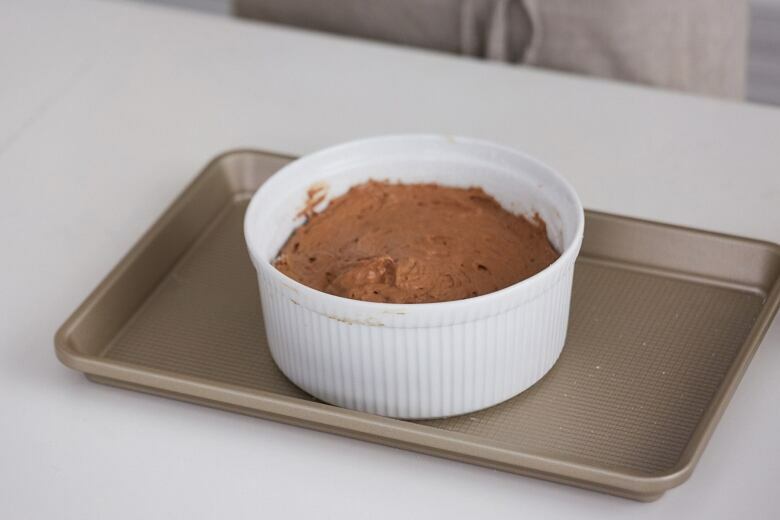 Add your chocolate mixture to your dish and add to the oven. Don’t open the open door for the first 25 minutes! Even one gust of cool air can cause it to lose its rise. Bake for 30-35 minutes. Dust some confectioner’s sugar on top, and add raspberries if desired! 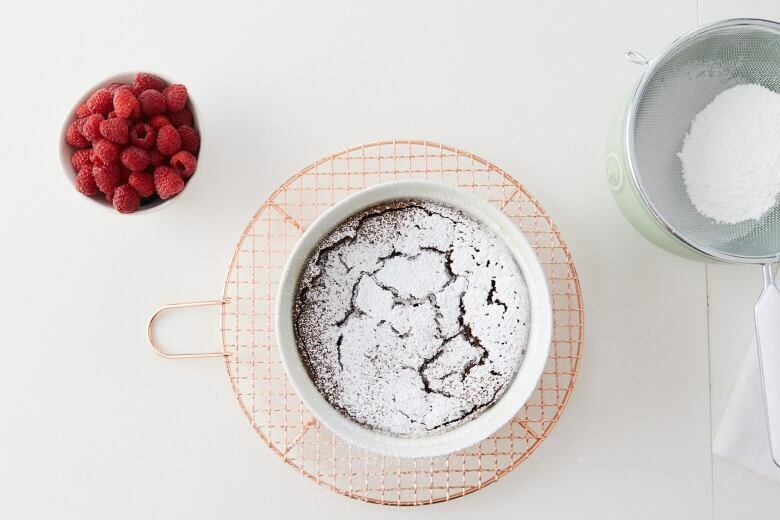 The soufflé is meant to be enjoyed immediately, so tuck in! No time to waste!